Equity benchmark indices erased morning gains and slipped into negative zone in today’s trade. The stock market has slipped after a media report said that Fitch Ratings has cut India's economic growth forecast for the next financial year starting April 01, to 6.8% from its previous estimate of 7%, on weaker than expected momentum in the economy. Shares of IndiGo and SpiceJet surged up to 33% in the past two days. Domestic air passenger traffic rose 5.6% in February, with the country's airlines carrying 11.35mn passengers in February, as per Directorate General of Civil Aviation (DGCA) report. Shares of Alembic Pharma fell nearly 1% on the BSE. The company received USFDA approval for Azelastine Hydrochloride Ophthalmic Solution, used for conjunctivitis treatment. 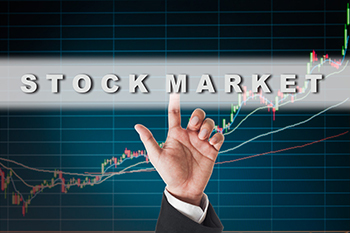 The Sensex is down 43 points at 38,343, while the Nifty slipped 15 points at 11,506. The market breadth was negative with 700 shares advancing, 971 shares declining, and 410 remaining unchanged on the NSE. In the broader market, the BSE Midcap index was trading 3 points lower at 15,163, while the BSE Smallcap index was ruling at 14,819, down 6 points. L&T, Indiabulls HF, Airtel, and Titan are trading higher, while ONGC, Zee, and IOC are trading lower on the NSE. The most active stocks on NSE are Reliance Industries, Maruti, and Yes Bank.